In January 1970, with the departure of Jim Pippin and Al Goldacker for the creation of their own private investigation business, two new officers were brought on to the police department: Gerald Mingin and Edward Hunt, Jr. The appointment of these two officers would be the beginning of a new era for policing in Eastampton Township. 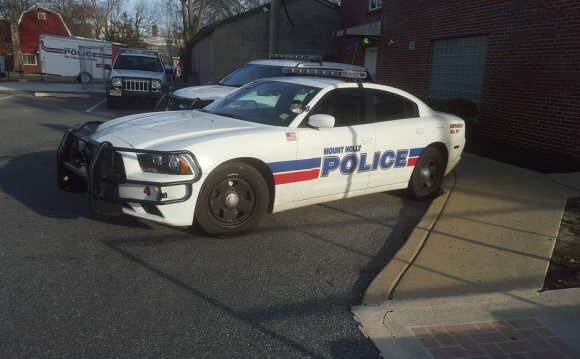 When Officers Mingin and Hunt began their duties for the department, which was still part-time, all criminal investigations were handled by the New Jersey State Police since no formal training was really required of municipal officers in the township. Officers primarily handled motor vehicle collisions not involving injuries, complaints of juveniles riding motorcycles in the woods owned by local farmers, and security escorts of the local school buses in town. Dispatched initially from Mt. Holly Township, the part-time police department operated out of a single room at the current location of the police department and operated a 1968 Dodge Coronet that was parked nightly at Chief Clark's residence in Maple Hills Estates. The actual catalyst in the creation of a full-time police department during the early 1970's was the residents' insistence upon the daily school bus escorts. As a result, "Jerry" Mingin was hired as the first full-time police officer and worked 50 hours a week for an annual salary of , 000.00. June 29, 1973 is a date that greatly impacted the members of the Eastampton Township Police Department. On this date, tragedy was narrowly averted in the confines of the one room police department at 725 Smithville Road. Having increased in size and responsibilities, the police department began to take a more active role in law enforcement in the township. Sgt. Mingin, who had been at the police department completing paperwork from an earlier drug arrest, became involved in a confrontation with a man who came to the police department to "get " the officer that arrested his friend. A physical altercation arose when the man refused to leave the station and an armed standoff soon resulted when the officer lost his gun. He was held at gunpoint with coworker, Detective Dave Biggs, who had also been disarmed. Luckily, Sgt. Mingin was able to depress the police radio microphone at the desk during the ensuing dialogue. As police officers from around the county responded, the suspect shot the officer in the abdomen. After officers stormed the police station, Sgt. Mingin was rushed to the hospital for emergency surgery. Fortunately, he recovered and was later able to return to full duty.